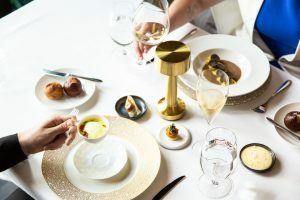 Atlas, located in the heart of Buckhead in the St. Regis Atlanta, is hosting it’s next rendition of the popular Winemaker’s Dinner Series with winemaker Giuseppe Brancatelli. On Wednesday, October 10, 2018, guests can spend the evening beginning with a reception at 6:30 p.m., followed by a five-course pairing dinner created by Executive Chef Christopher Grossman at 7 p.m. 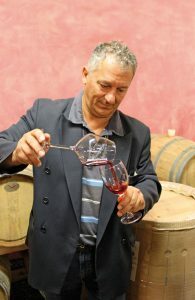 Hosted by Giuseppe Brancatelli, the dinner will feature a curated tasting of 2015 Borgo San Daniele Tocai Friulano, 2017 Rosato di Syrah “Loren,” 2017 Petit Verdot, 2012 “Valle Del Sogno” and 2013 Giuseppe Brancatelli Syrah. “The Brancatelli Winemaker Dinner is $195 per person, excluding tax and gratuity. For more information or to make a reservation call 404.600.6471, email Manager Eleanor Parker at eleanorparker@atlasrestaurant.com, or visit atlasrestaurant.com. In addition, stay connected on Facebook, Instagram & Twitter at @AtlasBuckhead.